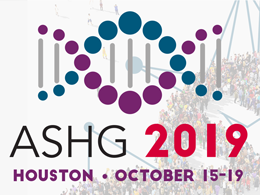 The American Society of Human Genetics (ASHG) deeply believes that ongoing federal government support is essential for the scientific enterprise in the United States. We affirm the important role of normal operations to keep scientific progress moving forward. Although – fortunately – the National Institutes of Health (NIH) is operational during the partial U.S. government shutdown, other science-based agencies that support and facilitate ASHG members’ work and that of their colleagues are not. Notably, the National Science Foundation (NSF) is affected. ASHG is proud to stand with the Federation of American Societies for Experimental Biology (FASEB) in letting Congress know how the shutdown is affecting science. Please use FASEB’s Legislative Action Center to contact your members of Congress about how the shutdown is impeding progress and reaffirm the importance of science agencies in advancing research. ASHG and FASEB: Working Together to Make a Difference in Advocacy & Policy! The Federation of American Societies for Experimental Biology (FASEB) is the nation’s largest coalition of biomedical researchers, representing 30 scientific societies and more than 130,000 researchers from around the world. As a member of FASEB, ASHG works closely with FASEB and the other member societies to advance research and education in biological and biomedical sciences and advocate for increased funding for biomedical research. Through FASEB, ASHG also monitors and regularly speaks out on science policy issues impacting the scientific community. For example, ASHG recently joined FASEB in celebrating the historic $3 billion dollar increase for the National Institutes of Health (NIH) approved by Congress in late March. Securing the increase was a collaborative effort between many organizations. ASHG urged its members to email and call their elected officials and sent two Board members to FASEB’s Capitol Hill Day to make the case for NIH funding with their members of Congress. This month, Congress began consideration of the fiscal year (FY) 2019 budget, and ASHG and FASEB are again working together to advocate for increased NIH funding. There is a good chance NIH will receive another significant funding increase in FY 2019, thanks to legislation passed in February to raise strict spending caps that were enacted in 2011. The appropriations committees will determine how that additional funding is divided among federal agencies. Making sure NIH gets another increase will require additional coordinated advocacy between ASHG and FASEB over the next few months. More information is forthcoming, but ASHG members should expect to receive e-alerts from FASEB as well as reminders to check out the resources and tools in the ASHG Advocacy Center. ASHG members also have access to FASEB’s Advocacy Toolbox, which includes instructions for requesting a meeting with a member of Congress at home and tips for communicating with elected officials through social media. The Washington Update newsletter provides the latest news on science policy and advocacy inside the Beltway and from federal agencies (click here to subscribe). Communicating about science is another area where ASHG partners with FASEB. The Human Microbiome and Individualized Medicine: Genetically Fine-Tuning Prevention, Diagnosis, and Treatment of Disease are articles in FASEB’s Breakthroughs in Bioscience series that illustrate genetics-related developments in biomedical research and their importance to society. Similarly, the Horizons in Bioscience one-pagers, including articles on liquid biopsies, CRISPR/Cas gene editing, epigenetics, and optogenetics, summarize scientific discoveries on the brink of clinical application and supplement the longer Breakthroughs. The recent $3 billion increase for NIH and other advocacy successes would not have been possible without the joint effort between FASEB and its member societies. As Congress makes decisions about the 2019 budget, FASEB is proud to have a strong partnership with ASHG to ensure that the voices of scientists are heard on Capitol Hill and in congressional districts across the country. Jennifer Zeitzer has been the Director of Legislative Relations at FASEB since 2008. She coordinates advocacy efforts with FASEB member societies and others in the biomedical research community, including organizing FASEB’s annual Capitol Hill Day. FASEB offers free webinars on advocacy and policy issues. Sign up to receive notifications about future FASEB webinars here.